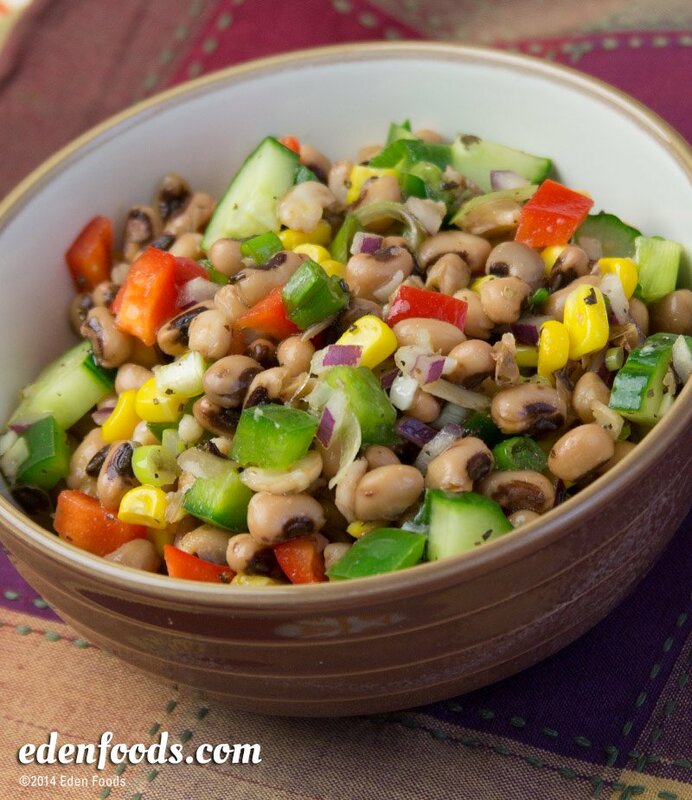 Mix together in a mixing bowl, the black eyed peas, tomatoes, sweet corn, green pepper, red peppers, scallion, red onion and cucumber. To prepare the dressing, place all ingredients in a blender or food processor and puree. Toss in with the salad. Serve room temperature or chill 1 hour before serving.